Tungsten matrix composites reinforced with TiB2 and Y2O3 particles were fabricated by milling under ambient/cryogenic conditions and Ni activated sintering. Powder blends constituting the W - 1 wt. % Ni - 2 wt. % TiB2 - 1 wt. % Y2O3 composition were mechanically milled for 12 h under ambient condition or cryomilled for 10 min or sequentially milled under ambient and cryogenic conditions. Milling was carried out in a high-energy ball mill under ambient condition whereas cryogenic milling was conducted in externally circulated liquid nitrogen. Milled powders were compacted using a hydraulic press and the pellets were sintered at 1400°C for 1 h under Ar / H2 gas flowing conditions. The effects of different milling types on the microstructural and mechanical properties of the sintered composites were investigated. After sintering, in addition to dominant W phase, small amounts of WB and NiW phases were detected in all sintered samples. The application of cryomilling after milling at ambient condition provided the disappearance of the clustered TiB2 and Y2O3 particles in the sintered sample: They were located at the grain boundaries of W1Ni matrix and homogeneously distributed through the microstructure. Sequentially milled and sintered composite had the highest relative density (95.77 %) and the highest microhardness (7.23 GPa) values among the samples. Nano-indentation tests showed that there was an improvement in the hardness and elastic modulus of W matrix phase, which yielded the values of 8.9 and 373.7 GPa, respectively. Bu çalışmada, Ni ile aktive edilerek sinterlenen tungsten esaslı matrisin TiB2 ve Y2O3 partikülleri ile takviye edilmesiyle, tungsten esaslı kompozit malzeme üretimi gerçekleştirilmiştir. W - % 1 ağ. Ni - % 2 ağ. TiB2 - % 1 ağ. Y2O3 kompozisyonundan oluşan toz harmanları, normal koşullarda 12 sa mekanik olarak öğütülerek ya da 10 dk kriyojenik ortamda öğütülerek ya da normal ve kriyojenik şartlarda ardışık olarak öğütülerek hazırlanmıştır. Normal şartlarda öğütme yüksek enerjili bir değirmende uygulanırken; kriyojenik şartlarda öğütme sıvı azot ile dışarıdan çevrelenen bir sistemde yapılmıştır. Öğütülmüş tozlar hidrolik pres kullanılarak preslenmiş ve pekiştirilen bünyeler Ar/H2 gazaltı şartlarında 1400°C’de 1 sa sinterlenmiştir. Farklı öğütme koşullarının sinterlenen kompozit malzemelerin mikroyapısı ve özellikleri üzerindeki etkisi incelenmiştir. Sinterlenme sonrasında, baskın W fazına ek olarak düşük mikarda WB ve NiW fazları oluşumu gözlemlenmiştir. Normal şartlarda öğütme sonrası uygulanan kriyojenik öğütme, sinter malzemelerin mikroyapısındaki TiB2 ve Y2O3 partiküllerin topaklanmasının yok olmasına neden olmuştur: Partiküllerin W1Ni matrisinin tane sınırlarında ve homojen olarak mikroyapıda dağılması sağlanmıştır. Ardışık olarak öğütülmüş ve sinterlenmiş kompozitler, numuneler arasında en yüksek rölatif yoğunluk (% 95,77) ve mikrosertlik değerlerini (7,23 GPa) sunmuştur. Nano-indentasyon testleri sayesinde, W matris fazının sertlik ve elastisite modül değerlerinin sırasıyla 8,9 ve 373,7 GPa değerlerine kadar iyileştirildiği kanıtlanmıştır.
.	Lassner E., Schubert W.D., Tungsten: Properties, Chemistry, Technology of the Element, Alloys and Chemical Compounds, Kluwer Academic, New York, 1999.
.	Caldwell S.G., Tungsten heavy alloys, in: Lee P.W., Lacocca R. (Eds. ), Powder Metal Technologies and Applications, ASM Handbook (v. 7), ASM International, Materials Park, Ohio, 1998, pp. 914–921.
.	Arshad K., Wang J., Yuan Y., Zhang Y., Zhou Z.-J. and Lu G.-H., Development of tungsten-based materials by different sintering techniques, Int. J. Refract. Met. Hard Mater., 50 (2015) 253–257.
.	Wei B., Wang Y., Zhao Y., Wang D., Song G., Fu Y. and Zhou Y., Effect of NbC content on microstructure and mechanical properties of W-NbC composites, Int. J. Refract. Met. Hard Mater., 70 (2018) 66–76.
.	Li Y., Zhang J., Luo G., Shen Q., and Zhang L., Densification and properties investigation of W-Cu composites prepared by electroless-plating and activated sintering, Int. J. Refract. Met. Hard Mater., 71 (2018) 255–261.
.	German R.M. and Munir Z.A., Enhanced low-temperature sintering of tungsten, Metall. Mater. Trans. A 7 (1976) 1873–1877.
.	Hayden H.W. and Brophy J.H., The activated sintering of tungsten with group VIII elements, J. Electrochem. Soc. 110 (1963) 805–810.
.	Song G.M., Wang Y.J. and Zhou Y., The mechanical and thermophysical properties of ZrC/W composites at elevated temperature, Mater. Sci. Eng. A-Struct. 334 (2002) 223–232.
.	Kim Y., Lee H.K., Kim E., Cheong D. and Hong S.H., Fabrication of high temperature oxides strengthened tungsten composites by spark plasma sintering process, Int. J. Refract. Met. Hard Mater. 27 (2009) 842–846.
.	Chen Y., Wu Y.C., Yu F.W. and Chen J.L., Microstructure and mechanical properties of tungsten composites co-strengthened by dispersed TiC and La2O3 particles, Int. J. Refract. Met. Hard Mater. 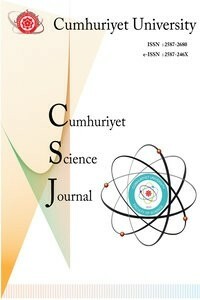 26 (2008) 525–529.
.	Liu W., Xue L. and Yan Y., Microstructure and mechanical properties of W-Cr-TiN composite by spark plasma sintering, Fusion Engineering and Design, 125 (2017) 503–509.
.	Ağaoğulları D., Balcı Ö., Gökçe H., Öveçoğlu M. L. and Duman I., Comparative investigations of the activated sintered W–1wt.% Ni composites reinforced with various oxide and boride particles, Int. J. Refract. Met. Hard Mater. 41 (2013) 577–584.
.	Li B., Sun Z., Hou G., Ding F., Hu P. and Yuan F., The effects of alumina reinforcement and nickel activated sintering on nanosized tungsten matrix, J.Alloy. Compd., 692 (2017) 420–426.
.	Genç A., Çoşkun S. and Öveçoğlu M.L., Microstructural characterizations of Ni activated sintered W-2 wt % TiC composites produced via mechanical alloying, J.Alloy. Compd. 497 (2010) 80–89.
.	Gökçe H., Balcı Ö., Ağaoğulları D., Demirkan Ö., Genç A., Öveçoğlu M.L. and Duman I., Characterization Investigations of W-Ni Matrix Composites Reinforced with TiB2 and La2O3, Acta Physica Polonica A, 123-2 (2013) 309–312.
.	Balcı Ö., Demirkan Ö. U., Ağaoğulları D., Gökçe H., Genç A., Öveçoğlu M. L. and Duman I., Effects of La2O3 Addition on the microstructure and properties of activated sintered W-Ni Compacts, Solid State Phenomen. 194 (2012) 217–221.
.	Munro R.G., Material properties of titanium diboride, J. Res. Natl. Inst. Stan. 105 (2000) 709-720.
.	Battabyal M., Schäublin R., Spätig P. and Baluc N., W–2wt. %Y2O3 composite: Microstructure and mechanical properties, Mat. Sci. Eng. A, 538, (2012) 53–57.
.	Genç A., Coşkun S. and Öveçoğlu M., Fabrication and properties of mechanically alloyed and Ni activated sintered W matrix composites reinforced with Y2O3 and TiB2 particles, Mater. Charact. 61-7 (2010) 740–748.
.	Çoşkun S. and Öveçoğlu M.L., Effects of Y2O3 additions on mechanically alloyed and sintered W-4 wt% SiC composites, Int. J. Refract. Met. Hard Mater. 29 (2011) 651–655.
.	Gupta V.K., Yoon D.H., Meyer H.M. and Luo J., Thin intergranular films and solidstate activated sintering in nickel-doped tungsten, Acta Mater. 55 (2007) 3131–3142.
.	Ağaoğulları D., Balcı Ö. and Öveçoğlu M. L., Effect of milling type on the microstructural and mechanical properties of W-Ni-ZrC-Y2O3 composites, Ceram. Int. 43-9 (2017) 7106–7114.
.	Back S.H., Lee G.H. and Kang S., Effect of cryomilling on particle size and microstrain in a WC-Co alloy, Mater. Trans. 46 (1) (2005) 105–110.
.	Veleva L., Oksiuta Z., Vogt U. and Baluc N. Sintering and characterization of W–Y and W–Y2O3 materials. Fusion Eng. Des. 84 (2009) 1920–1924.
.	Suryanarayana C., Mechanical alloying and milling, Prog. Mater. Sci. 46 (2001) 1–184.
.	Oliver W.C. and Pharr G.M., An improved technique for determining hardness and elastic modulus using load and displacement sensing indentation experiments, Journal of Materials Research 7-6 (1992) 1564–1583.